Discover everything you ever wanted to know about Disney Princesses, and read all about their castles, wicked stepmothers, faraway lands, best friends, spells and fashion. Each princess has their own section with profiles on the princess herself, her friends and her enemies. This beautiful encyclopedia is the perfect gift for any princess! Other fun tips and information are spread throughout the book, such as Sleeping Beauty's Guide to Dreaming, Tiana's Recipe Tips, Rapunzel's favourite hobbies and Ariel's Collecting Catalogue. 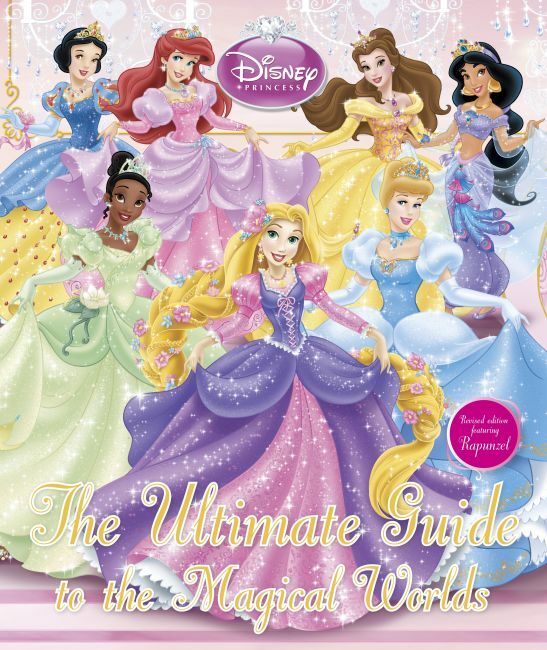 Disney Princess The Ultimate Guide to the Magical Worlds is the complete guide to all your favourite Disney Princesses.